I really, really enjoyed this. The writing was really easy to fall into and I loved the main character Zara. She came across as very likable and while you could really feel her loss at the beginning of the story you gradually got to see her strength shine through. The other characters were also great, especially her grandmother Betty and her friend Issie. Nick was also rather gorgeous in a very alpha male kind of way and I really enjoyed his interactions with Zara. The mythology was excellent. It felt really fresh and I loved the whole concept of the Pixies. Yes, it was a bit predicable in places and at times I found myself frustrated that the characters didn’t work out the things I found glaringly obvious. But I find this happens often in this type of novel and I do think the characters need to have a certain amount of denial for it to feel realistic. The ending is really good – the action really picks up towards the end and I couldn’t put the book down. I had to know what would happen! I am really looking forward to the next book Captivate. Need has really set a high standard for me and if the series continues to be as good as this it has the potential to be one of my favourite series. Loved your description of Nick as that "alpha male", totally agree with you. What a fab review! This is such a great book! Great review! I've heard a lot of good things about this book! Fighting to put this on my next mailbox! LOL. Great review, Sammee! I really enjoyed this book too! I would have liked for the secondary characters who have a bit more personality and background - who were they before Zara turned up? - but we can't have it all. I'm really looking forward to Captivate. Thanks for the review! 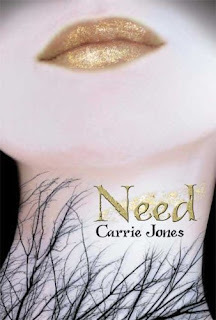 I need to read Need! I think predictable can sometimes be a good thing. I'm glad to hear she succeeded at the mythology aspect!